Update 28-12-2016: I got my repaired video card back and its an huge improvement, much more quiet now. Great service at Gigabyte! GPU 34-36C (fan 0%) the casefans keep it low enough. Only slightly audible component is the PSU. GPU 63-65C (fan ~75%) It keeps its 1987 mHz boost and rarely throttles down. Slightly more audible than the PSU. I did some cleaning up and a bit of pimping of the case and some fiddling with the fan speeds. At load the there is a lot of over pressure and really helps smash out the hot air from the video card exhaust, I have tried and seen the difference. It resulted in a bit higher case fan speeds and lower GPU speeds resulting in less noise. My only regret is not investing in a better PSU (read: more silent). Although it is at idle only barely audible I would have liked to have a bit more silence. Have atleast one dedicated casefan for the grapics card as this is a smaller form case. Also more fans mean less RPM needed and thus more silence, even under load. Bottom fan a 120mm as a 140 does fit but not with screws (double sided tape did the trick). Ram without heat spreaders. The cpu cooler is fantastic but does make contact with the heat spreaders. Or go for a CPU cooler that allows higher ram. Edit: Because Vader, all hail the Empire! I finally got the funds to put away my 5+ year old pc and build a new one. I wanted silence (my old one was noisy) and a small case. After some looking around I settled on the Nano S its looks, cleanliness es and simplicity won me over. Edit: its also one of the few small cases that lets me have only filtered intakes for my fan set-up. The main problem on silence would be my graphics card. After some discussion on stock cooler or aftermarket I went for an aftermarket cooler with an additional fan beneath it to help the airflow. Combined with a heavy over pressure. Oh does it work! :) On the graphics card, the case nearly fits anything and I game at 1080p so I got an 1060 instead of a 480 just because of price at that point, but would have gone with a 480 just as easy. This build requires a fanhub and helps moderate the fan speed from the CPU fan. Great build, love the Tie Fighter! Congrats on the build...! +1 But why do half of the uploads look fuzzy? I would like to see better photos if possible and other than that great build, now I know to not get that case after seeing the clearance of your components. Crappy pictures, I'll try and upload some better quality ones. Yup its a small case. Although Its not as bad as you think with the graphicscard. 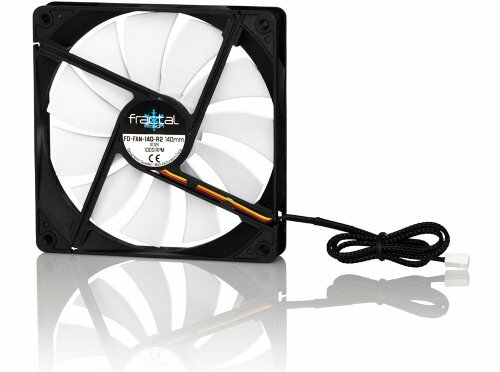 You can also go for a smaller PSU, but its not needed with this airflow. Nice clean build bro! Thumbs up! This is great. I see lots of fans, but if it's that quiet, that's awesome. I see some fans how are the directions of flow working? 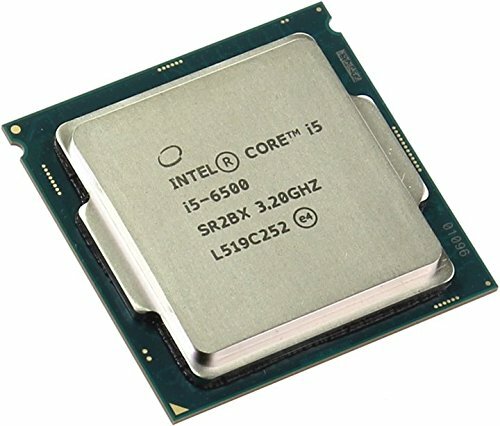 I'm in a similiar dilemma, wife wants a build but a super quiet one. The only think I can hear is the PSU but its barely making sound. 3 fans are taking in air and one fan in the back is pushing it out. None can be heard because they are running at low RPM. The Artic freezer and fan hub let this happen. I even had to up the fanspeed because it would go very often into passive cooling and fans not turning freak me out. More fans = less rpm needed = in general less noise. So only the back one is outflow. Man, pretty slick. Artic Freezer looks similiar to the 212 evo/ cryorig h7. I have a 212 evo at the moment and it's a pain to install cuz of the brackets. Thinking of trying of trying something new. Yes, this setup also helps keep dust out. We have 2 cats...hair and dust everywhere! They are all about the same. I chose the artic freezer because its a centimeter lower in height which makes the build look better as it does not give the stuffed feel. Installing was pretty easy. But the best looking ones are the cryorgs in my opinion. Note: the cooler is absolutely not needed, the stock cooler is fine. I only took it to keep noise down. For some reason maybe it's the artic 5 paste taking awhile to settle or some windows 7 update but the 212 evo this weekend, the temps went down big time. Idle went from 45c to 28c. My load was always great @ 55. Weird. The 212 has a bigger heatsink but not big enough to explain that temp drop, it could also be the fan speed to temperature ratio which could be different in the fans. I even had lower the temperature for passive cooling because it would stop most of the time. Also my case has 3 140mm fans taking in cool air which might help. I have not stresstested it yet. I am planning to loop Unigine Heaven Benchmark today or tomorrow to get it up to temperature. If after that temps are fine overclock it a bit further. I'll update the numbers. Very nice! I actually plan to make a build similar to this one. What PSU would you recommend? Anything with a lower decibel but keeping its 80+ rating. Also if you go modular look at the positioning so a fan can be placed next to it. Nice build, but I definitely would have gone with at least a mid tower case. Like you said, "Look for a longer model graphicscard so at least one of the fans is free for intake" if you had a larger case, you wouldn't have this problem. This is why I don't prefer mini itx cases, not enough airflow for me. In all honesty it only increases a further oc cards by a couple of degrees. And a tower is too big for my taste especially as it sits on my desk. If its out of sight and you have the space I would agree. A small form factor psu should solve all the problems. Still this gpu in its standard oc mode does not go above 70 decrees Celsius even under 30 mins of heavy load. Oh jeez that is a nice build! I am going to build a PC with everything the same apart from i will keep the stock cooler and maybe upgrade it in future and also keep the 1 intake 1 exhaust that come with the case. 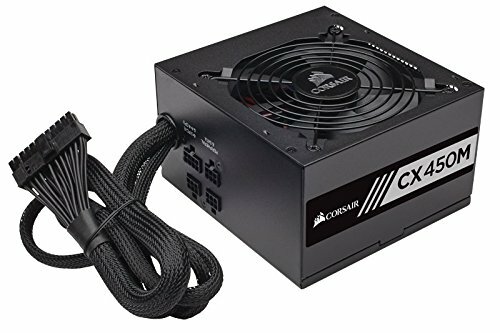 You seem to be regretting the purchase of the CX450M do you have any other PSU's to recommend? I am on the fence on LED's but probably will add some in the future. Any Ideas on colour? I was thinking white. White or Electric Blue leds would be cool. Or since you have a TIE fighter go for a Red vs. Blue combo, like a lightsaber duel. Psu isnt great, but for this build it will be fine.